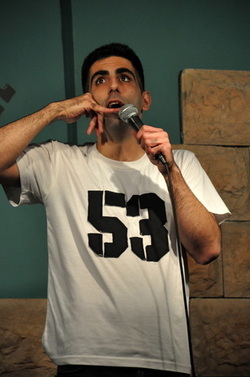 Sasi Mato, graduate of the Nissan Nitiv Theatrical School of Jerusalem. Sasi still a active actor of the theater and television community, recently performing in the 'Make Me Laugh' television program on channel 24. As one of the House Comedians of Off The Wall, Sasi has performed on the stages of Israel for over six years and is acting on the stages of Israel.